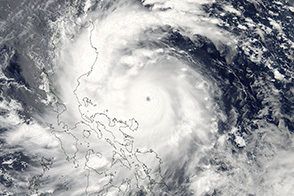 Around 4 a.m. local time on October 30, 2018, Typhoon Yutu made landfall on the northern Philippine island of Luzon. 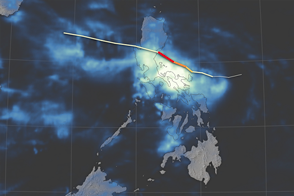 Although the typhoon had weakened to category 2 (down from category 5), it caused caused several fatalities and landslides. 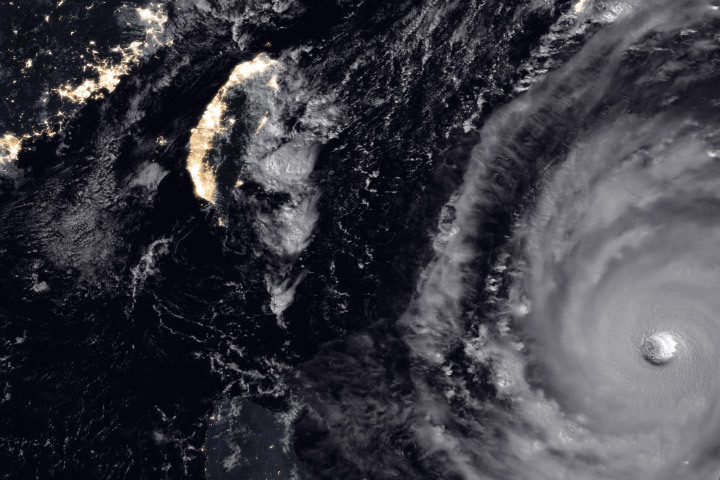 The Visible Infrared Imaging Radiometer Suite (VIIRS) on the Suomi NPP satellite acquired this natural-color image of Yutu (known as Rosita in The Philippines) on October 30, 2018. 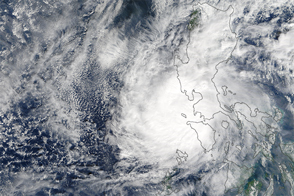 At approximately 10 p.m. local time on the 30th, the center of the typhoon was northwest of Dagupan City, with maximum sustained winds of 110 kilometers (70 miles) per hour. 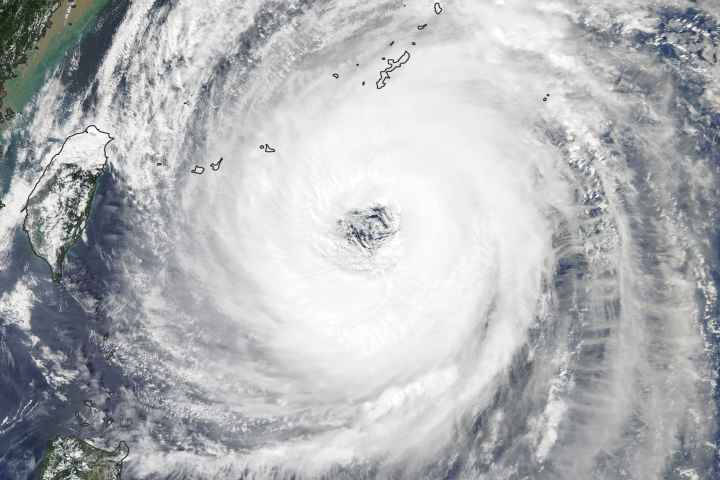 The typhoon previously made landfall in the U.S. Mariana Islands as perhaps the strongest typhoon ever to pass over the islands of Saipan and Tinian. 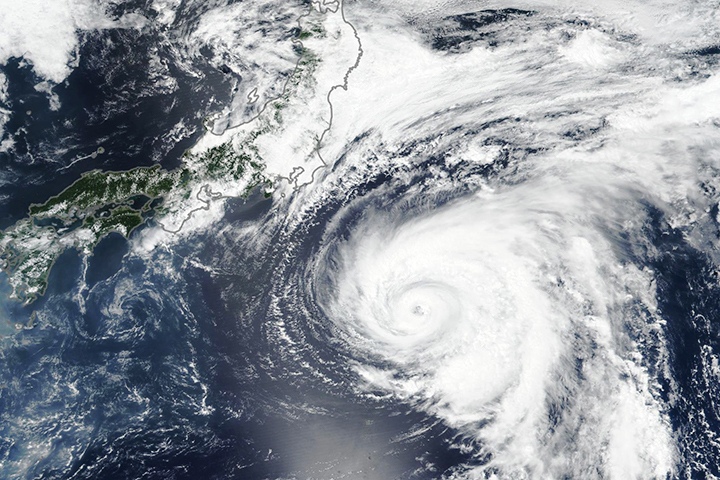 Remnants of the storm are expected to hit China and Taiwan later this week. 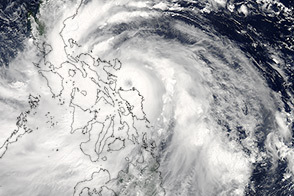 The category 2 typhoon brought soaking rain and landslides. 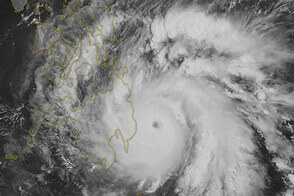 Philippine Atmospheric, Geophysical and Astronomical Services Administration Severe Weather Bulletin #19. 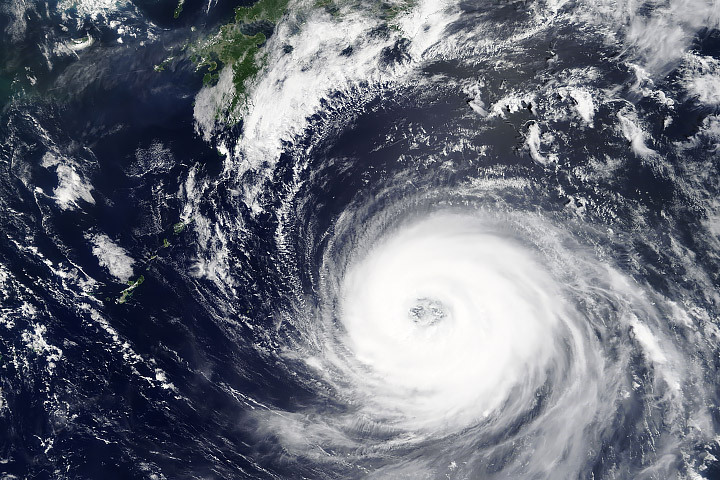 Accessed October 30, 2018. 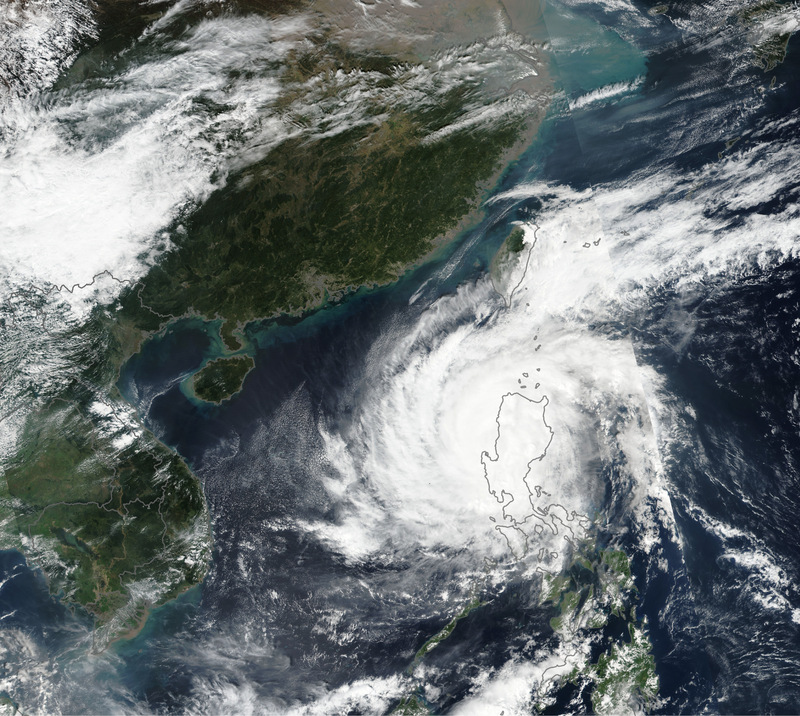 The Weather Channel (2018, October 30) Typhoon Yutu (Rosita) Moves Into South China Sea After Making Landfall in the Philippines. Accessed October 30, 2018. 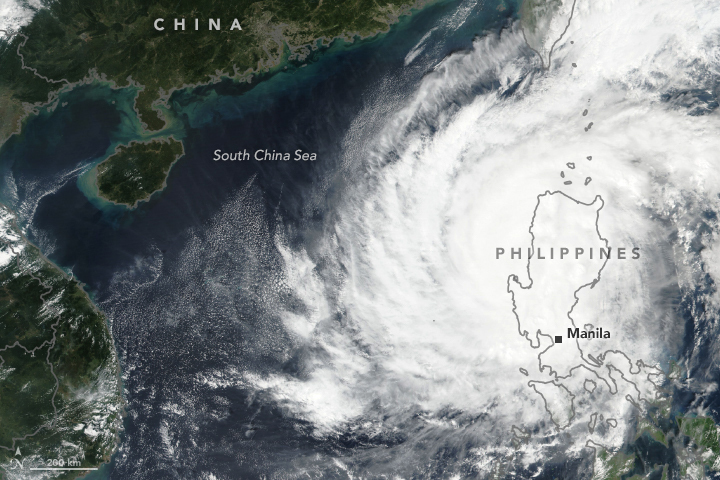 The Washington Post (2018, October 30) Typhoon leaves 6 dead in Philippines, more feared trapped. Accessed October 30, 2018.